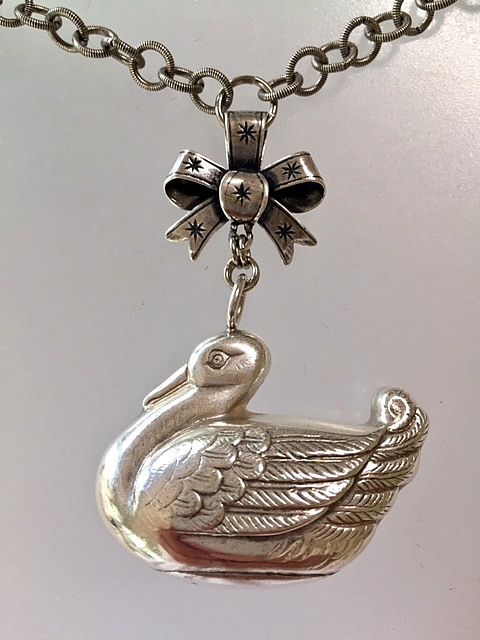 A delightful mixture of a Figural Silver Duck Baby Rattle suspended on a French Silver Bow. 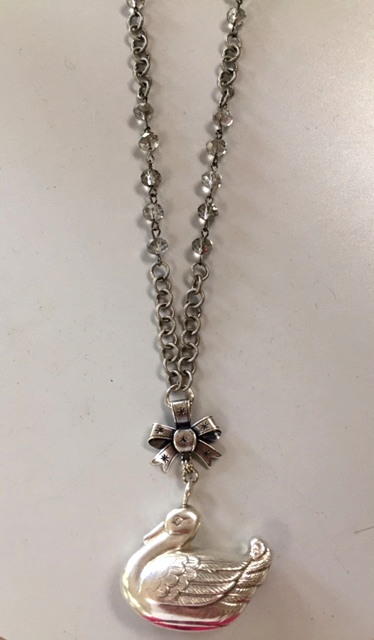 This charming piece of history is suspended on Silver faceted Crystal beads and Sterling silver plated etched Rollo link chain. The sound of the rattle is delightful to the ears! 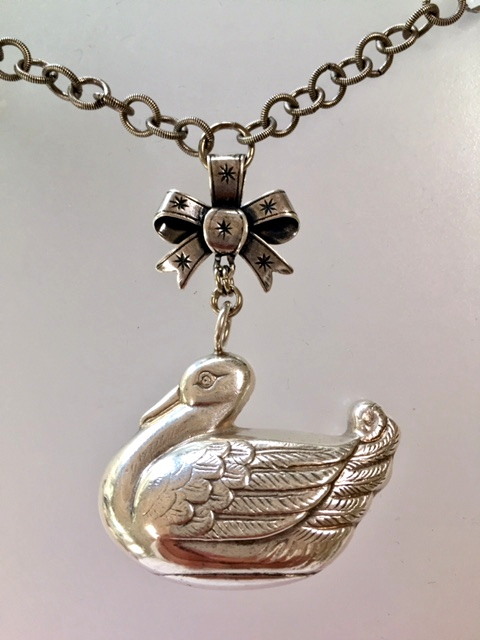 A fun and unique piece! Measurements~ Chain is 32", Cat rattle including Bow is 2.75" long.